Prepare chicken cutlets by washing it thoroughly in water and removing excess water in paper towels. In a medium bowl, combine breadcrumbs and cheese. Mix well. In a separate bowl, mix olive oil, lemon juice and pepper stirring constantly until well blended. Dip cutlets in lemon-oil mixture, allowing excess oil to drip back into bowl. Coat each cutlet in breadcrumb mixture, shaking off excess. 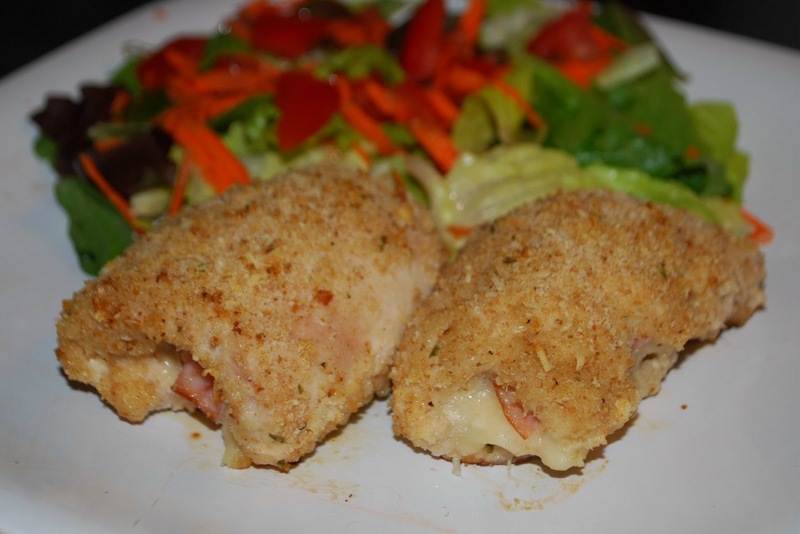 Arrange chicken on work surface and place 1/2 slice prosciutto, 1/2 slice of cheese and onion on the large end of the cutlet. 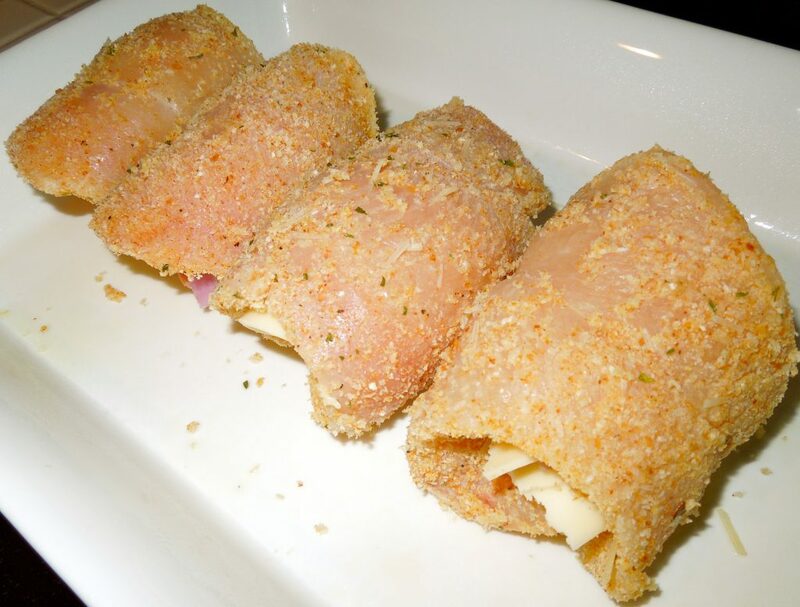 Carefully roll the cutlet and arrange in a baking dish with its seam side down. Repeat process with the remaining chicken. When done, sprinkle remaining crumbs on top and lightly mist with oil. Bake uncovered for about 25-30 minutes or until golden brown and cheese has melted. Serve warm.